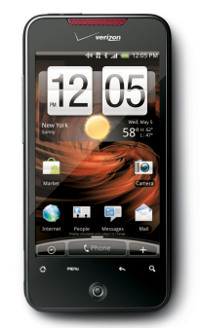 The HTC Droid Incredible is ready to rock and roll Stateside, where it will arrive today at Verizon Wireless Communications Stores. Of course, for folks who prefer to do their shopping online, there is always the option of pointing your browser to www.verizonwireless.com and place an order for this, er, incredible handset. The asking price for the Droid Incredible? It is going for a relatively affordable $199.99, although this is after sending in a $100 mail-in rebate and committing yourself to a spanking new two-year customer agreement. If you have been holding out for a brand new smartphone, the HTC Droid Incredible could very well be a decent purchase, unless of course, you are looking at the iPhone 4G which is touted to overcome many of the current iPhone 3GS’ weaknesses. The choice is yours, but before you make it, why not check out the HTC Droid Incredible in greater detail after the jump? If you happen to pick up the Droid Incredible by HTC before May 31, 2010, you will benefit from a complimentary 2GB memory card. Any takers so far? WOWWEE! It’s still a 3″ inch screen which does S.O.S. as the iPhone except this one lies about the whole network game being a 4G load of crap as if it’s faster internet. I have a 5G on a 4G network with a 3G screen and a 2G battery. See how silly this whole name game bullsh** is?